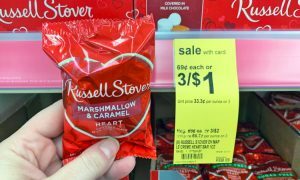 Russell Stover Valentine Singles, $0.33 at Walgreens! Who doesn’t love getting a deal on Valentines candy without the having the hassle of having to use a coupon! This is a great deal to grab at your local Walgreens.